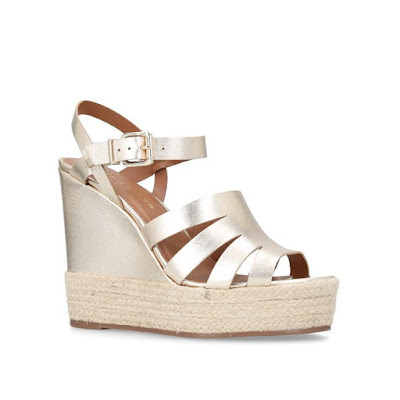 You know summer is here when you get your wedges on, my sandal choice not just for looks but also comfort, you get height and ease for walking. Plus who can resist a wedge heel they are so versatile, looking great with your maxi dress or adding a summer feel to your shift dress or working great with your wide leg linen trousers. A new-season update on the best-selling Amerie, Amelia by KG Kurt Geiger features a signature studded trim with a luxe Italian snake-print strap. 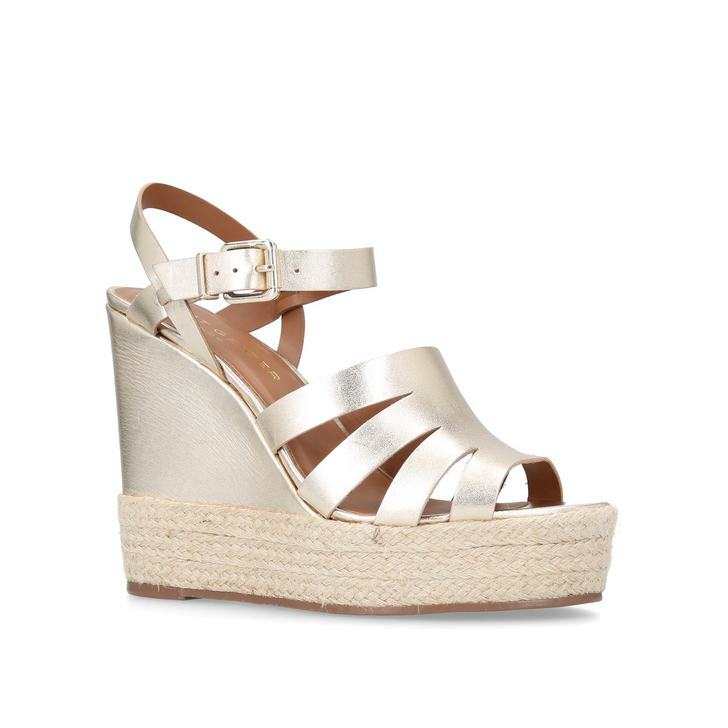 In a versatile beige hue, this sultry 120mm wedge ticks all the style boxes. 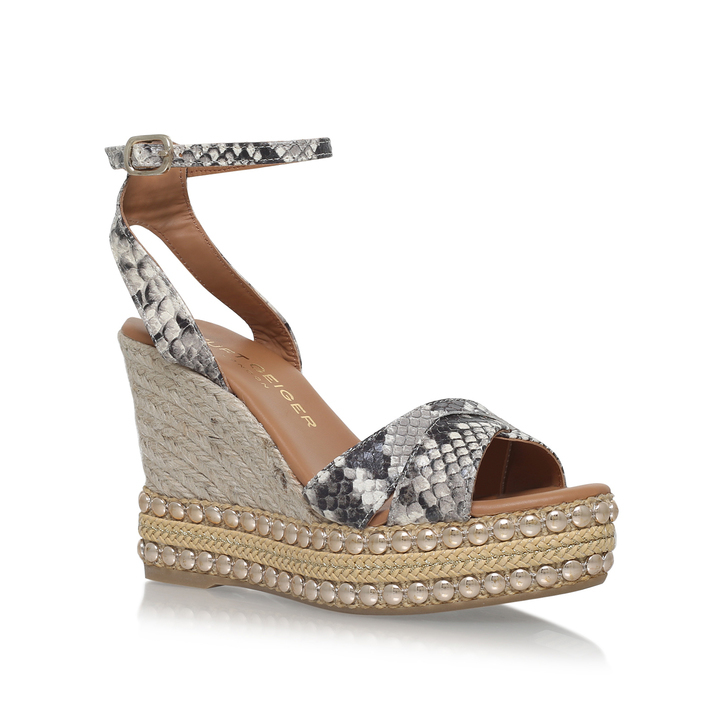 Elevate your looks in more ways than one with the trend-heavy Aura style from Kurt Geiger London. Sitting on a sky-scraping 130mm wedge with espadrille detailing, this strappy sandal strikes a seasonal note with camel-hued leather construction. Nautical chic is big news for the new season, and Notty serves it up in spades. 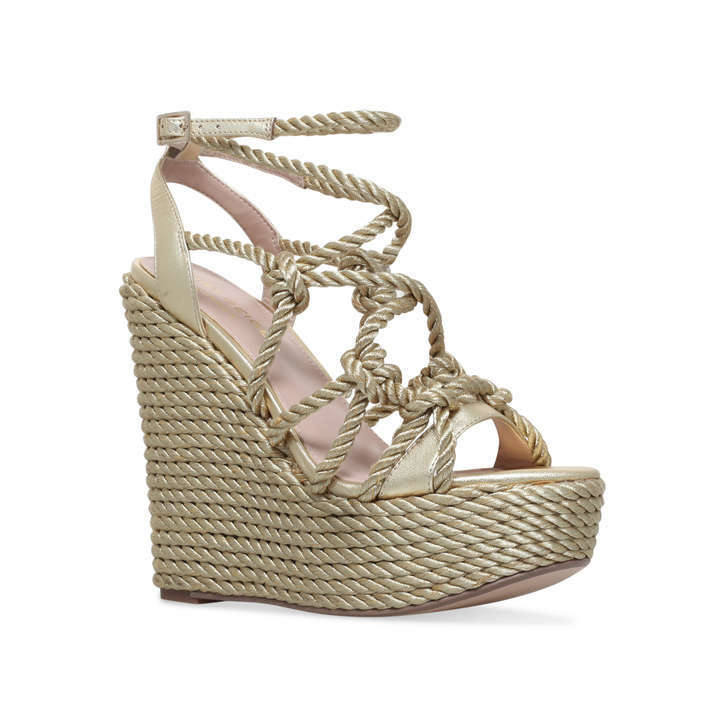 Oozing stylish seaside vibes, this wedge sandal by KG Kurt Geiger features knotted gold rope straps and a statement 60mm heel. Try it with stripes for extra points.